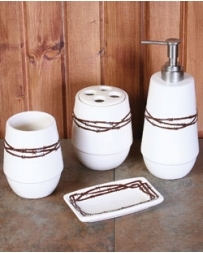 HiEnd Accents® Barbwire Bathroom Set 4PC The Barbwire Bath Accessories set features embossed barbwire in rich brown painted on classic off-white ceramic. This set is part of the larger HiEnd Accents Barbwire collection which combines classic barbwire with rustic design elements for an affordable statement of rustic luxury. 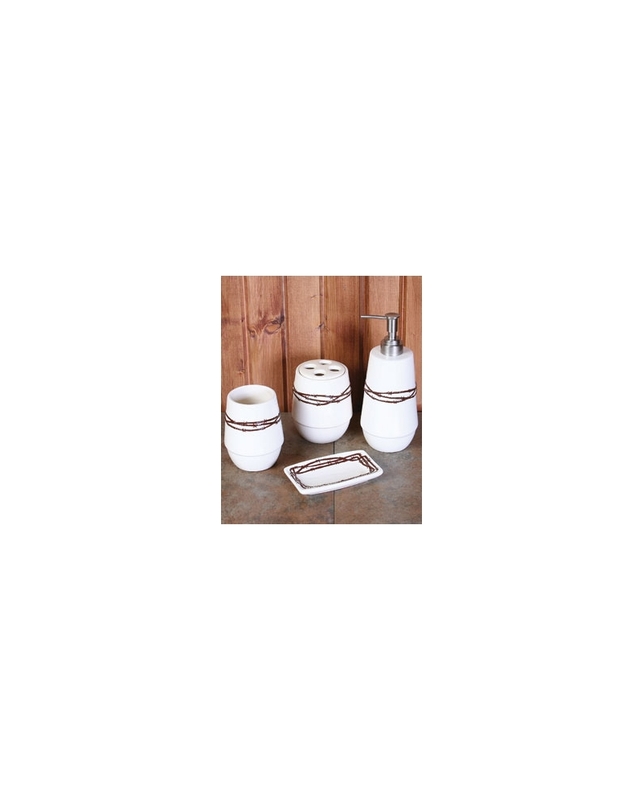 This four piece bathroom set includes a soap dish, soap/lotion pump, toothbrush holder and tumbler. tooth brush holder (4.5"), and Tumbler (4.5"), a soap dispenser (8"), and a soap dish (3"x5").